Get interesting updates on the go! Hi folks! Welcome to our brand-new website, and also, our very first blog post. We hope you will find whatever you want to know about HUGO easily here. We will share our thoughts and plans for HUGO here, so follow this blog for the latest updates! 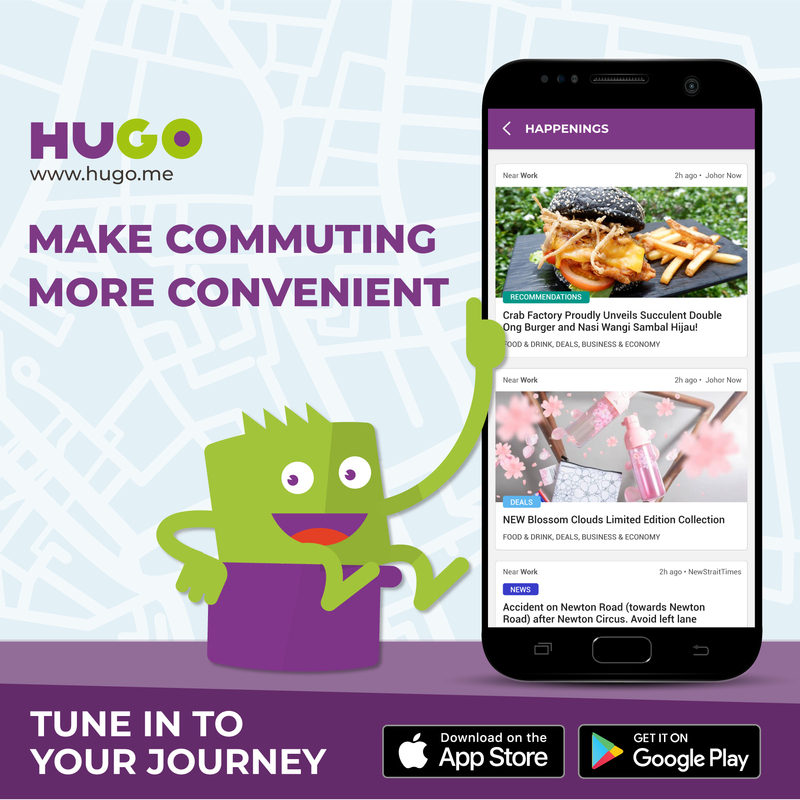 Till today, HUGO helps daily commuters by providing real-time transport information, so commuters can save time in their everyday journeys. We plan trips to unfamiliar places all the time, and sometimes these journeys can be long and… boring. What better way to maximize our time by getting to know our destination better? After some user research, we developed a new feature that helps users get informed about their destinations without exiting the app. 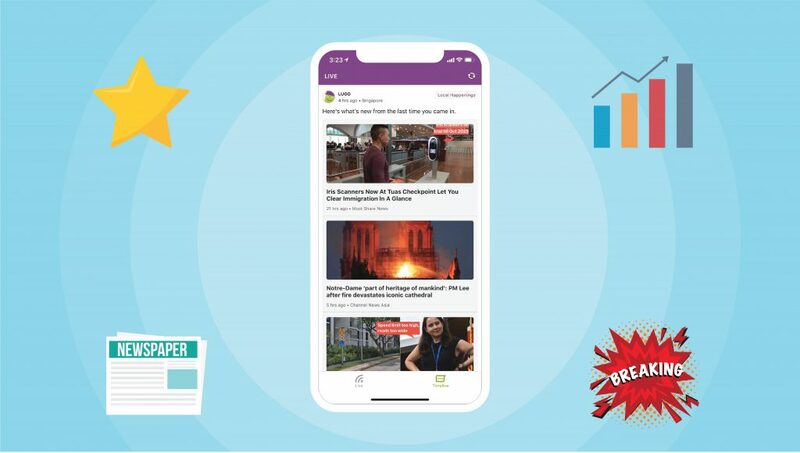 When you scroll down the app’s home screen during your commute, you will see up to three news items that are relevant to your journey. 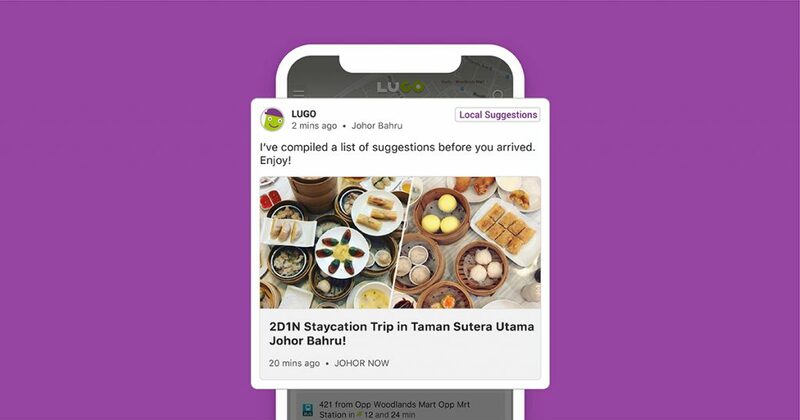 To view more news, tap on the “Show All Happenings” button below and HUGO will deliver even more information to you automatically. No more searching! From food recommendations during mealtimes, to weekend events for the whole family, there is always something interesting along your journey. They say eating is Singaporeans’ and Malaysians’ favourite pastime. We can’t wait to see the amazing eats you will discover with this new feature! Just sit down and enjoy your journey, and let HUGO find all the interesting happenings for you. Download the app and experience the new feature for yourself now.